NGS makes an effort to form travel soccer teams with like-minded players of similar soccer ability. To do so, each player who registers for spring travel soccer is required to attend an assessment session, even if she is already playing on a travel team. Please arrive 15 minutes prior to the scheduled session for check-in. Bring a soccer ball and water. It may be cold, so please dress in layers. In addition to shin guards and cleats, girls are welcome to wear sweatpants, hats and gloves but must not be wearing any jewelry. The field has lights. There will NOT be a make-up date for the assessment. If you daughter cannot attend the assessment we will place her using Director of Coaching and team coach evaluations. Current TRAVEL players – Do not register for the spring season. We will expect you at the assessment. 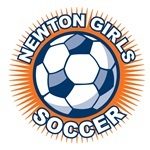 If you will not be playing in the spring, please email registrar@newtongirlssoccer.org so that we do not place you on a team. Current CITY players – Please register through your Blue Sombrero account for Fall 2017/Spring 2018 Travel Program – 3rd grade (Spring Only) division.